Proudly serving our members and community. Working to enhance and strengthen the lives of rural Americans and to build strong, prosperous agricultural communities. 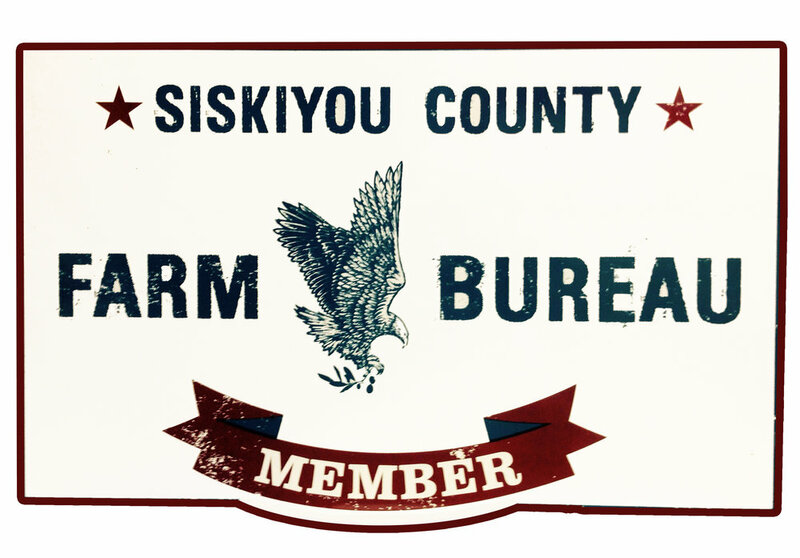 For $10 you can showcase the official red, white, and blue Siskiyou County Farm Bureau sign at your farm, or business. Contact the office to purchase. Join the conversation at this year’s California Farm Bureau Members Meeting. Please join us in San Diego, December 4-7, for the 100th Annual Meeting of the California Farm Bureau Federation. We will commemorate the many successes of our past and come together to look at the incredible possibilities in store for the future. Read more. Join us on March 30th, 2019. High school seniors, are you thinking about a career in any agriculture field? If so, download our scholarship application. The application deadline is February 8, 2019.